Kate Moore is a governess looking for a better life than she knew from her childhood. Her mother raised her to keep her eyes on the prize and marry a wealthy man who can take care of her. Kate gets her chance when she meets the mysterious bachelor, Matthew Lemont, and he is beguiled by her sensible nature and quick wit. In a very short time, Kate becomes Mrs. Lemont. Her fairy tale beginning is short lived, however. The newlyweds are naturally headed to Lakecrest to meet Matthew’s mother and sister and surprise them with their good news. Upon arrival, however, Kate realizes that things are not as they might appear. A missing aunt, a winding labyrinth, a cellar dungeon and secrets upon secrets hide within the grounds of that strange, eccentric house. Just when Kate realizes she needs to escape for her own safety, she realizes she is pregnant, and suddenly everyone, including her husband, seems to think she should be confined to the house until the baby comes. Can Kate escape the tyranny in that toxic house before it steals her sanity? Could she be reliving the tragedy of the lost aunt? 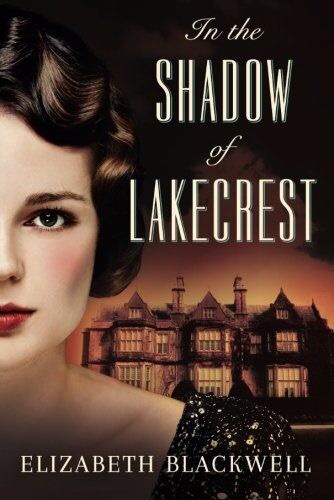 In the Shadow of Lakecrest, by Elizabeth Blackwell, is a mystery novel with an essence reminiscent of V.C. Andrews. If you enjoy suspense you should pick it up! Anyone who knows me well AT ALL knows that I will never turn down a book if I hear the word “Hemingway”. I’m not sure why this is, because as far as I can tell he was a moody, morose alcoholic most of the time. But my interest started when I was very young, and I watched In Love and War, with Sandra Bullock, and I thought he seemed so tortured and passionate (even portrayed by Chris O’Donnell). I think, in real life, he was very charismatic and even magnetic…And he hurt everyone around him when he fell into the darkness that consumed him more and more throughout his life, leading up to the moment when he took his own life in his later years. Hemingway was married to four different women-each of them remarkable in her own way. 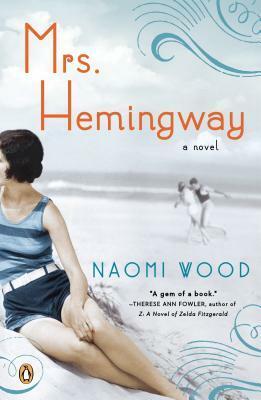 When I was asked if I would be interested in covering Mrs. Hemingway, by Naomi Wood, I was ecstatic. A novel that describes Hemingway’s relationships with his four wives, based on letters and anecdotes from his life? I couldn’t resist. When Mrs. Hemingway begins, Ernest is married to Hadley, his first wife and the mother to his first born son. She has been traveling with Ernest and living in Europe, and she recalls the moment when she met Ernest and how they fell in love, then the terrible events leading up to her divorce and the entrance of Pauline, the spunky young fashion journalist with family money and not a care in the world for anything…Except the charismatic Ernest Hemingway, of course. Next we travel through Pauline, who was always a little naïve, and who swore she would never let Ernest go…But when the driven, intelligent, recklessly brave war correspondent Martha Gellhorn enters the scene she doesn’t stand a chance. Martha and Ernest were passionate and explosive, feeding off one another for energy, for inspiration, and eventually draining one another until Martha finally had enough…But Ernest had the sweet, lovely Mary waiting in the shadows to swoop in and give him the affection and care he craved. Ernest’s wives were very different, but they all saw something in Hemingway that made them risk everything to have him. Perhaps this is one of the things I find so fascinating about him. So many women, smart, decent women, fell into the storm of his life and fell back out again. Mrs. Hemingway only takes a surface-level approach to the relationships of these women with Hemingway, but I believe Naomi Wood’s most remarkable accomplishment with this novel is her painfully accurate portrayal of life with a talented, charismatic man who said and did despicable things, hurt people around him, and who was so afraid to be alone that he didn’t have space for a single gap between women in his life…who drowned himself in liquor until he finally lost his mind. When a 14-year-old girl disappears, her mother’s worst nightmare is realized. Rachel’s daughter, Marley, left her phone and computer sitting at home, but packed a backpack full of clothing and left a note for her mother which read “Don’t Try to Find Me”. At first, Rachel believes her daughter must have been kidnapped by someone who made her write the note, but the evidence piles high and she is forced to accept that her sweet, average, non-rebellious daughter is a runaway. Marley is tired of being ignored, tired of being cast aside, tired of being unremarkable to everyone. She wants to start fresh, away from her neurotic mother, her domineering and detached father, her psychiatrist who rejected her when she asked for help, her cruel, self absorbed friends…She wants to be with someone who truly appreciates her. And she thinks she may have found that. Online. Take a journey through the lives of a family torn apart by social media in every way…This novel is what I would call “Suspense” but it also has a lot of emotional depth as you get deeper and deeper into the very personal thoughts of very ordinary people, when things get very out-of-the-ordinary without any warning whatsoever. 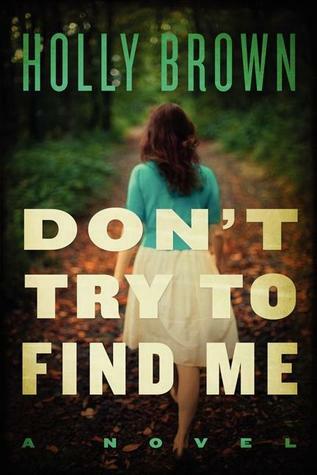 I would say that readers of Emily Arsenault and other similar novelists will enjoy Don’t Try to Find Me, by Holly Brown. Find out if Marley will ever come home…Will she even have an option? You Should Have Known, by Jean Hanff Korelitz, is a suspense novel unlike anything I’ve ever read. 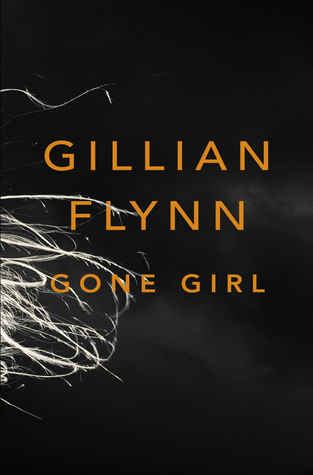 In the vein of Gone Girl, this story unwinds in ways you could not see coming and leaves the reader shaking his/her head and sitting in stunned shock. Seems like her husband may have had a few secrets of his own. A mother from her son’s school comes up murdered, and the police keep trying to find out what Grace may know about the crime and the victim. But Grace just doesn’t understand why they think she might know something…The woman was barely even on her radar. When the facts start raining down on her and she realizes she really didn’t know her husband at all, the brutal truth has the potential to ruin her entire life, or at least the life she always thought was perfect. 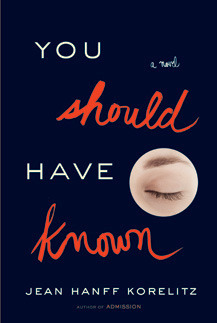 You Should Have Known, by Jean Hanff Korelitz, is a psychological suspense novel. I wouldn’t call it a “thriller” per se, because most of the novel is not action, but the slow unveiling of truth to a woman who thought she knew it all. I thought the audiobook was excellent for my work commute and for housework-but don’t listen while being interrupted a lot, because if you miss something you will be very confused! Every detail counts in You Should Have Known, which is a novel entirely comprised of little details which lead up to one horrifying conclusion…You’ll have to read it or listen to it if you want to know more! Up at Butternut Lake, by Mary McNear, is a great read to start off your summer vacation. Widowed single mother Allie Beckett decides to pick up everything and leave her old life, full of painful memories, behind for good… She heads for a cabin that she remembers from her childhood, on Butternut lake in Minnesota…But when she arrives, she starts to wonder if she has bitten off more than she can chew. Raising a young son on a remote lake is not without its challenges, and small town life isn’t as anonymous as she originally thought… Not to mention, the only neighbor for miles is an arrogant, annoying male who seems to find her irresistible. Will Allie find peace at Butternut lake? Will she find the strength to move on with her life? Will she find love again? 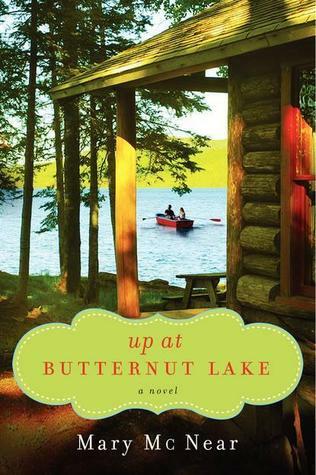 Up at Butternut Lake is a novel about second chances, healing and learning to appreciate the simple things in life. If you like reading romantic trilogies, there are two more books set to come out following Up at Butternut Lake, so keep an eye out for Mary McNear on the bookshelves (and maybe here on my site). Kate has finally escaped from her miserable life and found the man of her dreams (on the internet, of course), and after a passionate courting, she finds herself married and moving to Iowa to be the lady of his farmhouse. Except when she arrives, she has a rude awakening. Her new husband Joe wasn’t as forthcoming about his living situation as she would have desired. Her marriage is off to a very rocky start, people keep insinuating that her home is haunted, and she is about to learn that the wives of Braxton County face struggles that she never could have imagined, going back generation after generation. Can Kate solve the mystery of the farmhouse and the murder that once occurred within its walls? Will she face the same fate as the previous owners? Is the family cursed? Can she find her place in Braxton County, or will she be defeated? What secrets are locked away, just out of Kate’s reach? 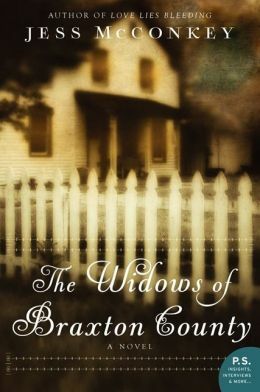 The Widows of Braxton County, by Jess McConkey, is a novel about old family secrets, the trials of marriage and the complicated relationships between women, and asks a very serious question : Is it possible for a man to avoid becoming his own father, in the end? 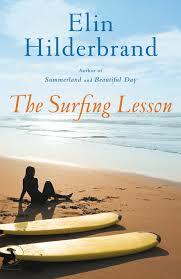 A teaser short story for Elin Hilderbrand’s new novel, Beautiful Day, The Surfing Lesson gives you a taste for the characters in the upcoming novel and lays out the background of Margot, a working mother who is seriously questioning her marriage to handsome Drum, once known as the best surfer on the Nantucket beaches. Margot decides to test her marriage for once and for all by setting up Drum in an intimate situation with his ex-girfriend Hadley. The plan: have Drum teach Hadley’s son how to surf, and see if Drum will be tempted by Hadley’s obvious attraction and flirtation…And to watch from where no one can see her and see if she can bring back the old passion and possessiveness that was once her relationship with Drum. This is not a full-length novel, but a short story. If you are an Elin Hilderbrand superfan, however, you will definitely want to add it to your collection. Those of you who haven’t read Elin Hilderbrand should know that she writes women’s fiction bordering on chicklit, and the stories take place in Nantucket and often involve romance and challenging family relationships. The audiobook by Hachette Audio is excellent, so if you like to listen to your stories, put this one on your list. A warning, however, if you like the short story, chances are you will want to read Beautiful Day immediately. So be prepared. Queen Victoria’s youngest daughter Beatrice was her best companion when her other daughters had long been married off. Approaching 30, Beatrice had long been considered a spinster. Suddenly, however, two gentlemen have appeared, both of which are suddenly interested in the woman : dashing nobleman Harry Battenberg, and a mysterious new stableman from Scotland who saved her from bandits while she rode her horse. Unfortunately, the Queen has no interest in losing her daughter to the hands of man, instead opting to keep her chaste and protected, and by her side for the rest of time. Beatrice is torn like she has never been torn before. She wants to have her own life, and make her own decisions, and she very much wants Harry Battenberg, a man who seems to understand her deeply and appreciate her, and who has asked for her hand in marriage. But when Victoria refuses to give her blessing to Harry Battenberg and banishes him from the kingdom, and Beatrice receives no word from him about his intentions or affections following the event, the handsome stableman begins to seem much more charming and attractive. But where does he come from and what are his secrets? What are his intentions? Something dark looms overhead, but Beatrice is too naive to anticipate the shock she is about to receive. 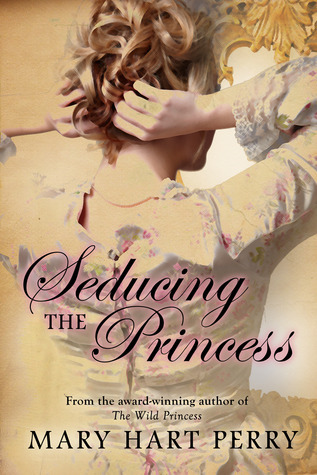 Seducing the Princess, by Mary Hart Perry, is a historical novel set in Victorian England (obviously) and will be greatly appreciated by just about anyone who enjoys a good historical romance. The novel also has very little in the way of lewd sexuality, I would even hesitate to call it a bodice ripper, consummated love is alluded to, but never written out descriptively. The author also wrote The Wild Princess, which is about Victoria’s daughter, Louise. These novels take creative liberty to add adventure to facts already known about the princesses (although the author admits that they are strictly fictional). Readers who like Phillipa Gregory or similar authors will truly enjoy Mary Hart Perry. Don’t hesitate, pick it up! Nick and Amy Dunne are celebrating their fifth wedding anniversary. The day starts out like every other anniversary day…But things go sour fast. Nick comes home to find Amy missing, the furniture in disarray. Amy has disappeared. The police seem to feel like Nick is the prime suspect, and Nick is cooperating with them as best he can…But he can’t shake the feeling that he’s missing a clue somewhere about what really happened to Amy. Did Nick kill Amy? If not, who did? Or is she alive somewhere? Nick looks for clues as to who is wife really is all around…Who did she talk with recently? Who might have wanted to harm her or take her? What did she do before she disappeared? As Nick begins to examine the truth about his wife’s life, he realizes she may not even be the person he thought she was…An Nick has a few secrets of his own. 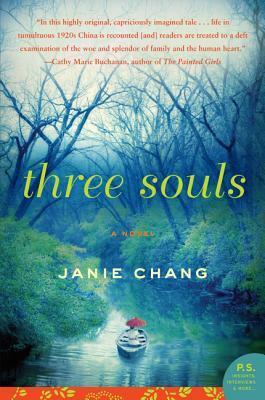 This novel is a psychological thriller with emphasis on male/female relationships that will give any reader the creeps. Difficult to find novels to compare with this one because psychological thrillers rarely delve into the minds of husbands and wives so deeply, creating a chilling atmosphere that will leave readers mortified. In other words, an excellent psychological thriller for those of you who enjoy the genre, but be prepared to find something unlike any novel you have ever read.